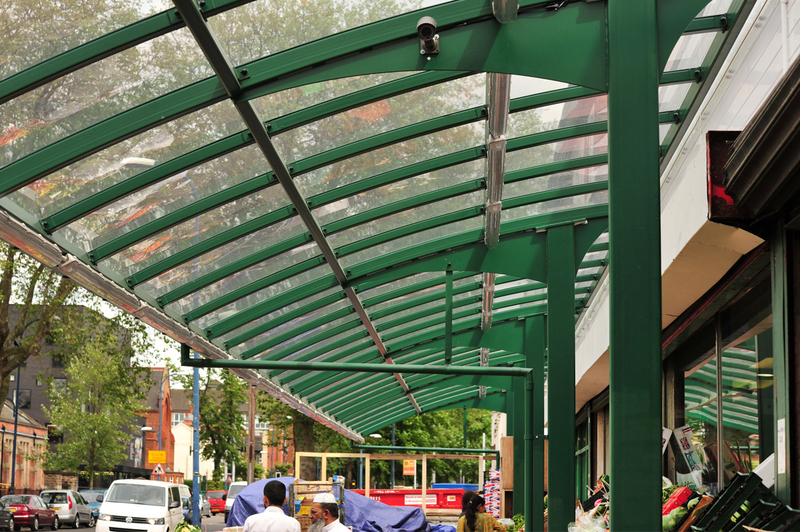 Goldens International Ltd approached us for our advice on replacing an old, run down, damaged canopy located outside one of their supermarkets in Nottingham. 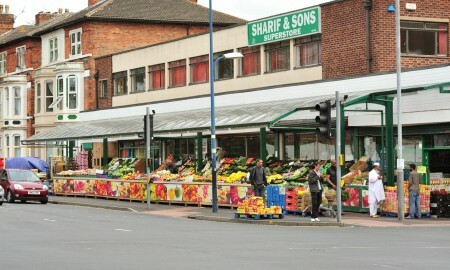 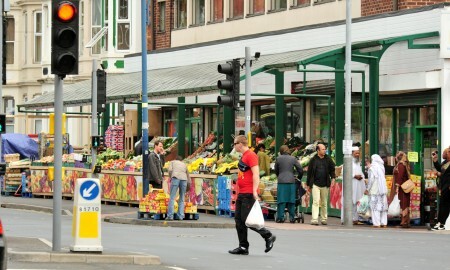 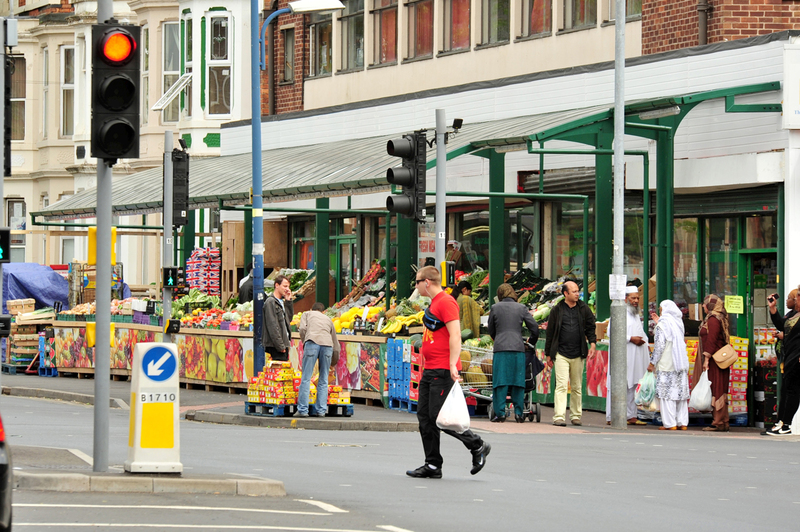 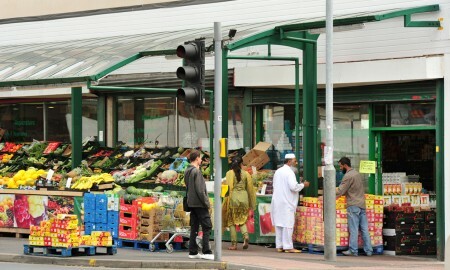 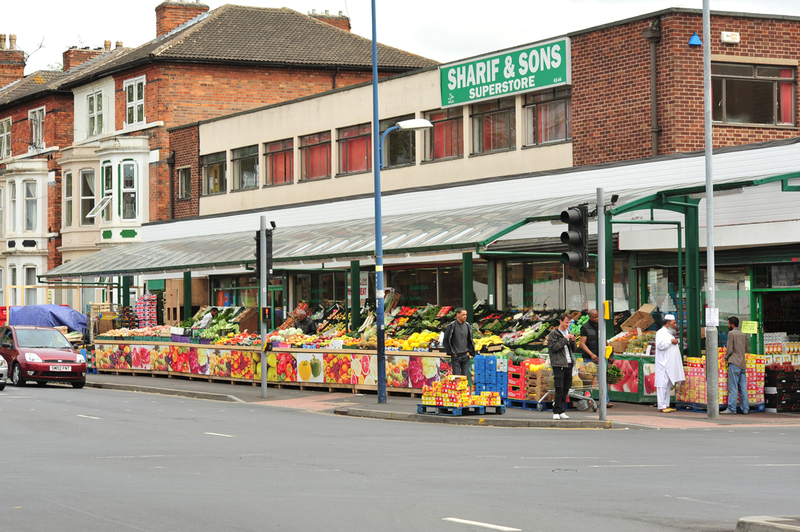 The supermarket was located on the corner of a busy main road and they had a huge amount of fruit and vegetables displayed along the supermarket frontage. 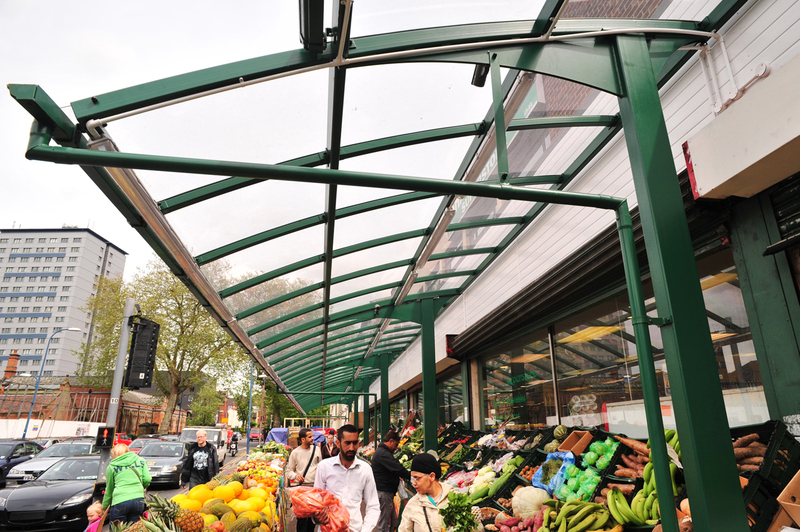 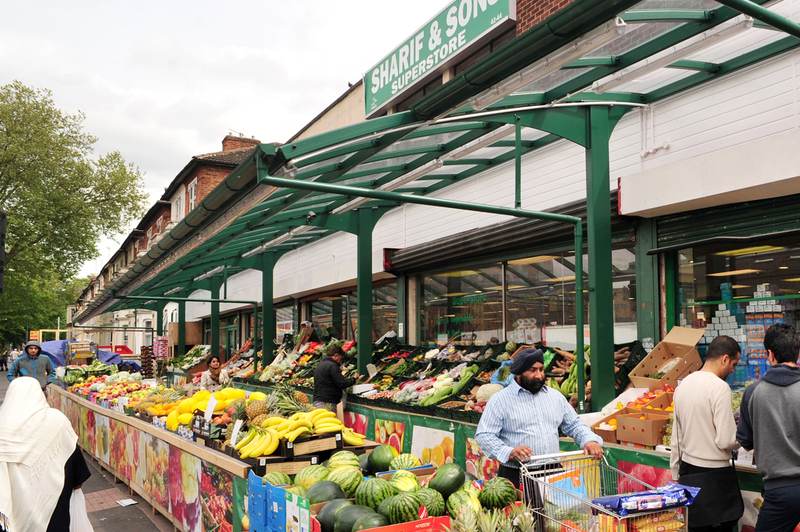 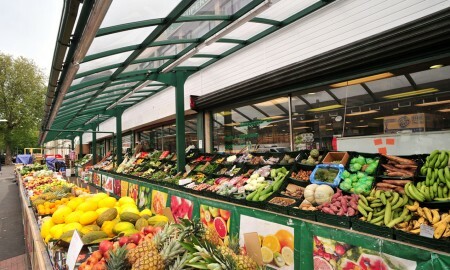 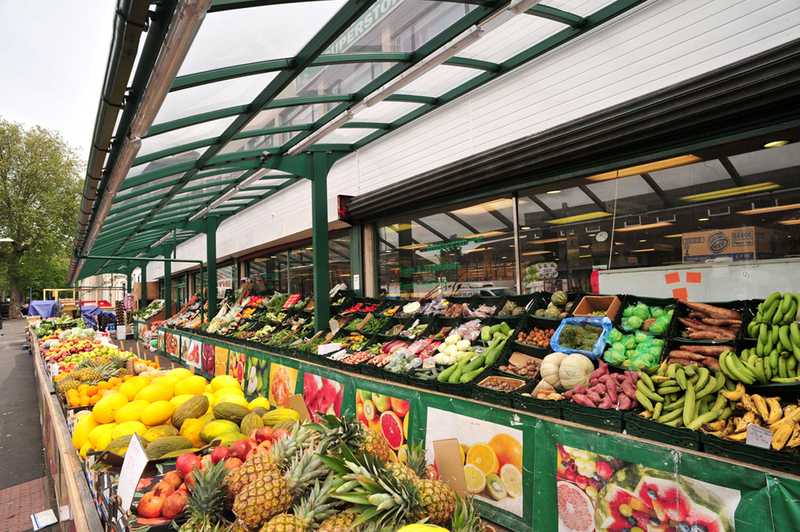 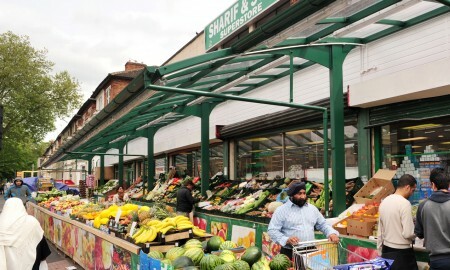 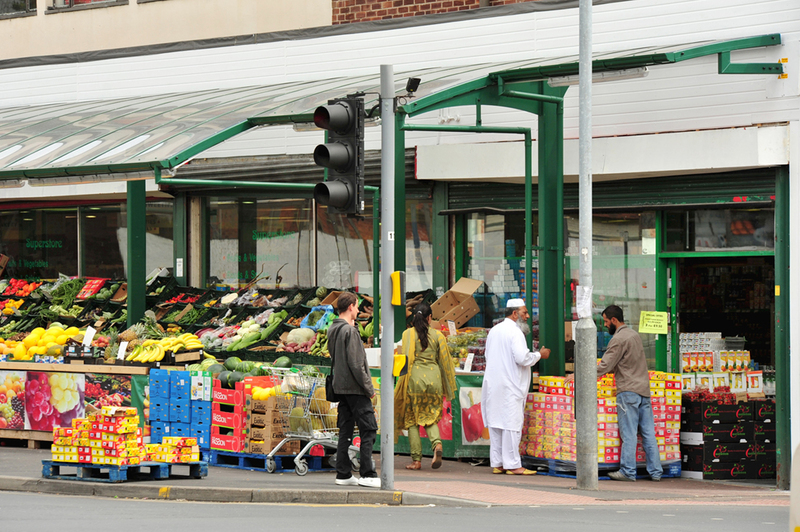 Goldens required the canopy to protect their fresh produce whilst not causing obstruction to their customers, and needed to fully adhere to building and transport highways regulations. 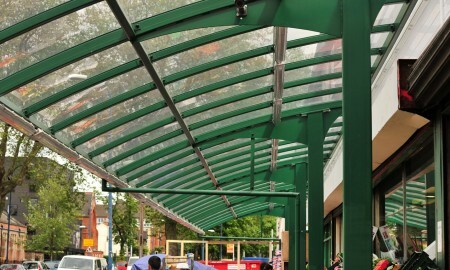 We provided a John Fisher style canopy as it fulfilled all of the clients’ requirements; it was both aesthetically pleasing and fit for purpose. 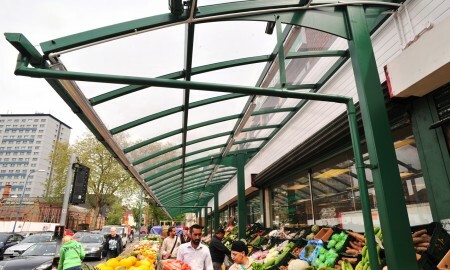 Lighting was also installed as the supermarket is open late nights and therefore allows their customers to still benefit from market style experience.